It quickly becoming one of the most popular flooring options. While hardwood is the granite of flooring, the popularity of laminate is constantly increasing. Whether replacing a worn out hardwood floor or upgrading from carpet, more and more homeowners are choosing laminate flooring. There has to be a reason, right? There are many benefits of laminate flooring. 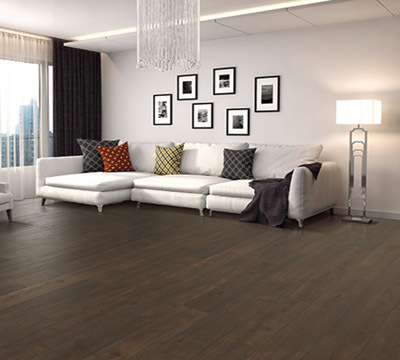 When installing new flooring, you may want to consider laminate and the benefits it offers. Laminate flooring has come a long way in recent years.While it may not have been true in the past, it now comes in wide array of styles, colors, and finishes. There is laminate available to mimic almost every different type of hardwood. Ease of installation is a great benefit of laminating flooring, minimizing the disruption to everyday living. Depending on the condition of your existing flooring and whether or not your subfloor is level and secure, you can sometimes install laminate over top of vinyl, tile or hardwood floors. This can greatly reduce the cost of installation by removing the need to rip up the old flooring and prep the subfloor. Because of the ease of installation, laminate flooring has also become a popular project for DIY homeowners. In many cases, it is best to hire a professional. They will be able to evaluate your old floor and decide if it needs to be torn up. 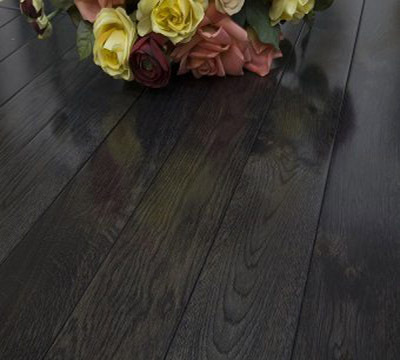 They will also have the expertise to give your new laminate floor a professionally finished look. Hard surfaces are always easier to keep clean than carpeting and eliminate the need to hire professional carpet cleaners. Sweep, dust, or vacuum the floor regularly with the hard floor attachment to prevent the accumulation of dirt and grit that can scratch or dull the floor finish. 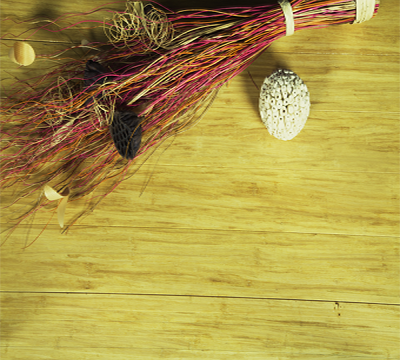 Because laminate is made from recycled wood flooring, when it comes time to mop it, the less moisture the better. Use a cleaner specifically for laminate or hardwood flooring and spray it on a micro-fiber mop, not directly on the floor. Mop up spills immediately. For stubborn spots like oil, paint, markers, lipstick, ink or tar, sparingly use acetone or nail polish remover on a clean white cloth. Then wipe the area thoroughly with a damp cloth to remove any remaining residue. 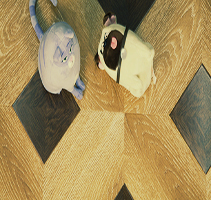 Kids and pets can be rough on floors. While no floor is completely safe from either, laminate flooring has a topical finish coat or wear layer that makes it resistant to scratching. Laminate is also a favorite with homeowners who suffer from allergies. Dust and other indoor allergens such as pet dander can not penetrate the hard surface of laminate flooring the way it can cling to carpet fibers. Offering an affordable, attractive and allergy friendly alternative to hardwood floors is one of the many benefits of laminate flooring. Probably one of the most popular benefits of laminate flooring is its affordability. As opposed to hardwood, laminate is a more affordable option when installing new flooring. With the material costing less and a lower labor cost due to easier installation, laminate is a great choice when keeping an eye on the budget. Initially, laminate flooring is more expensive than carpet. However, over time it will be more cost effective. In addition to the annual professional carpet cleaning, carpet typically needs to be replaced approximately every 7 years or so. Laminate floor usually last 3 to 4 times longer than carpet. Installing laminate instead of replacing the carpet once, maybe twice during the normal life span of the laminate makes it the more affordable option over carpet. Now that the benefits of laminate flooring are clear, it might be the perfect choice for a space requiring new flooring. With 14 years experience and a diversified line of products, Ferma Flooring designs, manufactures, imports and distributes a variety of flooring products. Currently serving more than 1,000 flooring retail stores nationwide from our distribution warehouse located in Edison, New Jersey. We believe your success is truly our success. Contact us and learn how we can assist you in growing your business.